茜草科 Rubiaceae | | 玉叶金花属 Mussaenda | | 黐花 Mussaenda esquirolii H. Lév. 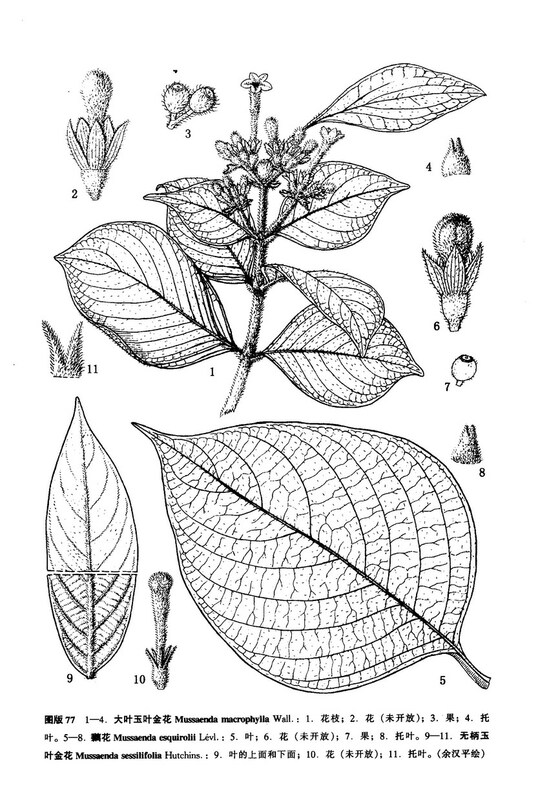 Mussaenda esquirolii Levl. Fl. Kouy-cheou 369. 1915; Rehd. in Journ. Arn. Arb. 16: 319. 1935; Ferguson in Not. Roy. Bot. Gard. Edinb. 32 (1): 110. 1972; 中国高等植物图鉴4: 194, 图5802. 1975. ——M. wilsonii Hutchins. in Sargent, Pl. Wils. 3: 393. 1916.